Daredevil is a new series created for Netflix which started airing in April 2015. It stars Charlie Cox, Rosario Dawson and Vincent D'Onofrio.Have you seen it, or would you like to? 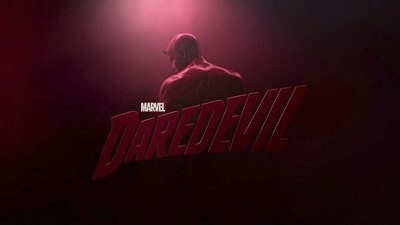 "Daredevil-televison" by Source (WP:NFCC#4). Licensed under Fair use via Wikipedia. I've seen the first two episodes so far, and I like it. It is however poorly lit, and has a lower sound quality than I'm used to. That said, the story is solid and interesting. Well worth checking out. I don't use Netflex, so I have not seen it. I'm not particularly bothered about seeing it either. I don't have Netflix, and have not heard of this one.